When you go to the movie theater and watch some crazy flick unfold in front of you, it’s easy to forget that the people engaged in the action are actors and the action is actually nothing more than some crazy special effects. That’s why it’s always so interesting when you are able to get a look behind the scenes and actually see what had to be done in order to make those scenes as riveting as they were. 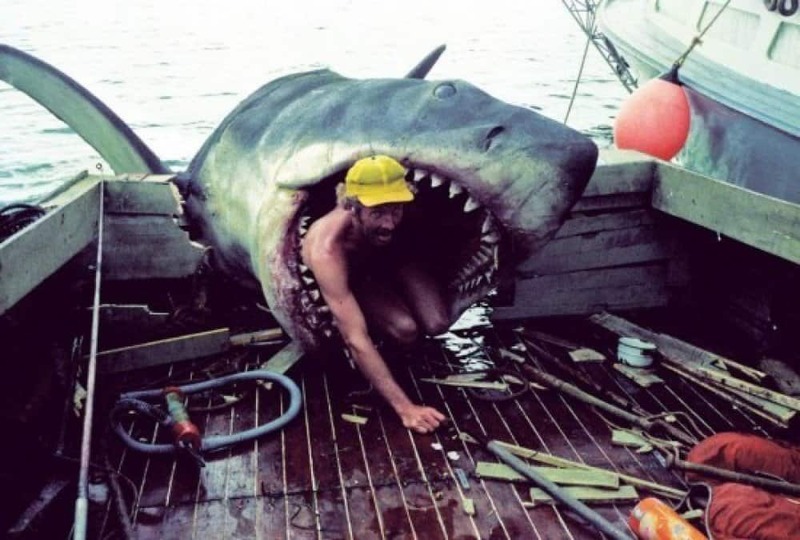 You can check out our list of 10 crazy behind the scenes photos from your favorite big budget films. Then tell us if you were so fooled by the shoot itself you had no idea the photo would be something like that. Let us know in the comments. 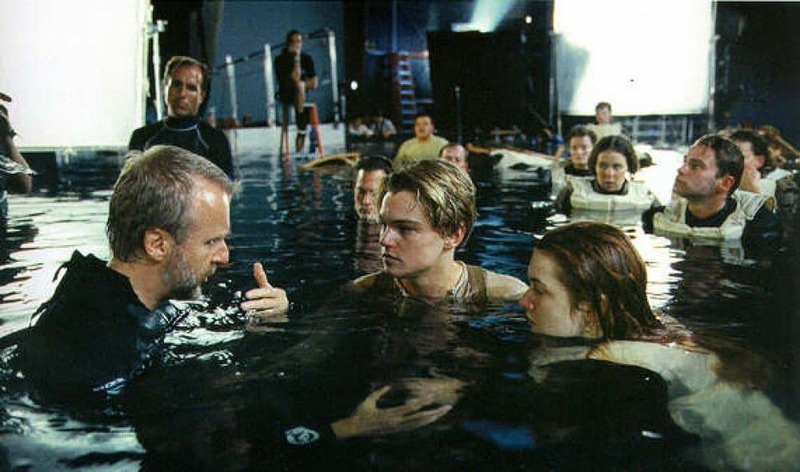 The most interesting thing about this scene is the the fact that the actors were clearly in really cold water, considering the blue tints of their skin. They were suffering for their art apparently. 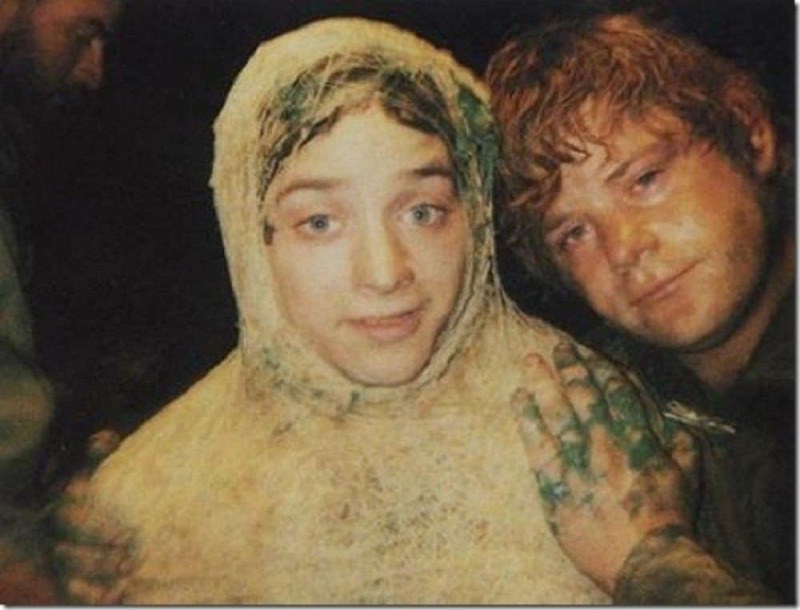 Here’s a nice shot of two of the main actors, Sean Astin and Elijah Wood taking a break from shooting, to show off the fact that they can have a little fun, even when their characters are locked in a battle for their very lives. 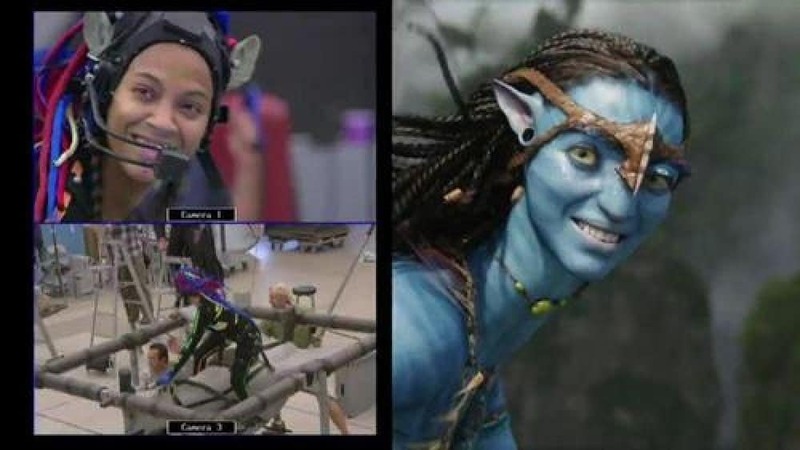 Obviously, we knew that the alien creatures in Avatar were created with the help of CGI, but it’s still interesting to see just what the actors looked like when they were portraying their characters. This shot shows Zoe Saldana as she looked onset and at that very moment in the movie. 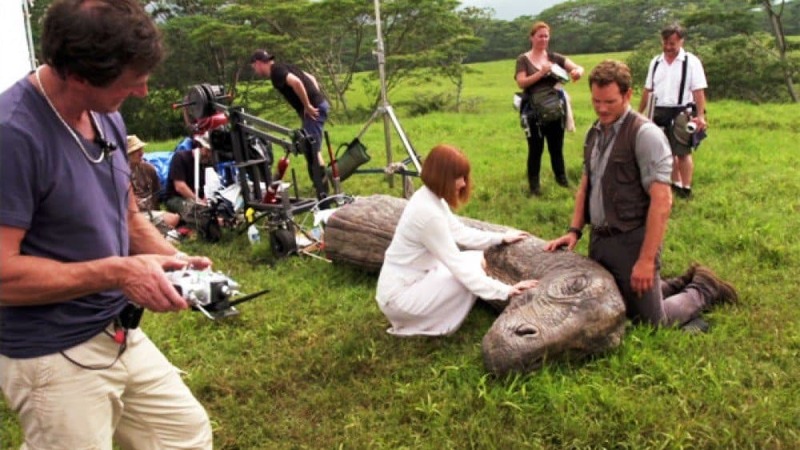 Some behind the scenes photos can ruin a movie for people because it lift’s the veil. 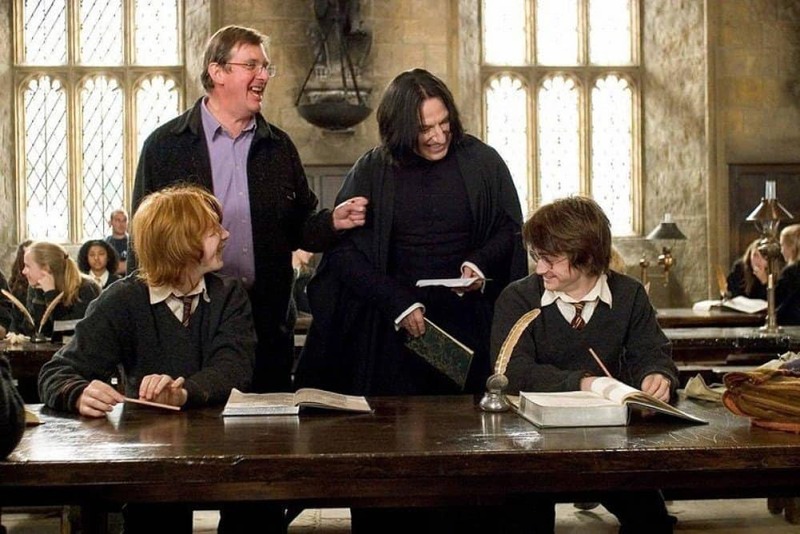 This photo however, seems to make us only love the Harry Potter franchise more as we see a candid moment between actors who are clearly friends, but largely play rivals or enemies in the film. The picture is especially poignant considering Alan Rickman’s passing. He’s pictured here doing something Professor Snape never did with Harry or Ron. Remember the sad scene when the scientist and the adventurer found the dying dinosaurs strewn all about the field in Jurassic World. That scene is quite a bit less sad when you see the apparatus that was working the dinoaur’s animatronic head. It’s still fascinating though. 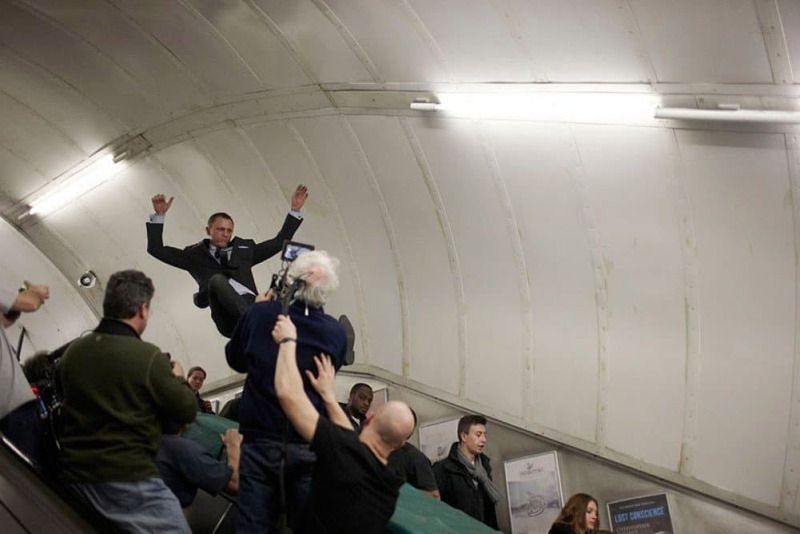 In this scene in Skyfall, James Bond is leaping after the Albino Javier Bardem and is supposed to be crashing onto an escalator. In this behind the scenes photo we see the actor is actually going to happily land on a nice cushion. Bonus points for noticing the extra in the background staring directly at the camera. There are some movies where we just shouldn’t see behind the curtain. 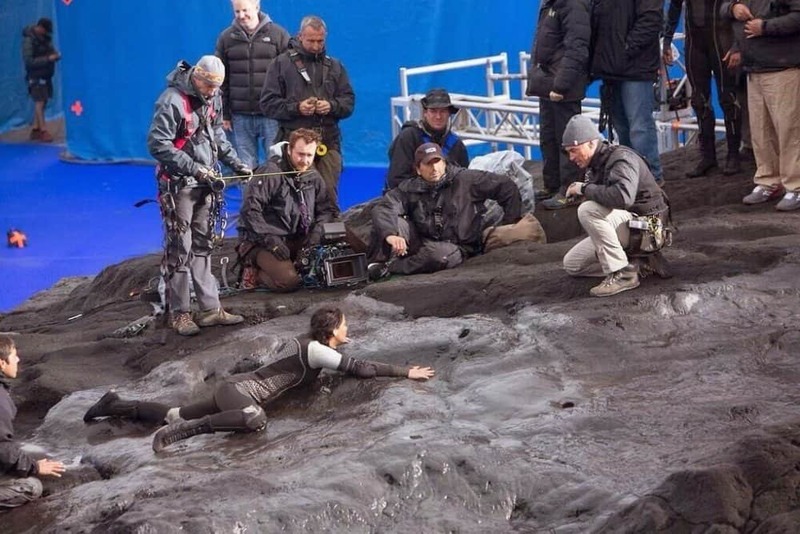 Watching Jennifer Lawrence crawl through what looks like a plastic wasteland with crew all around her certainly takes some drama away from what is normally a very dramatic moment. Jaws was one of those movies that was so popular precisely because you felt it could happen. One of the reasons you felt it could happen is because the animatronic shark looked quite real. Here you can see the giant sea creature inert and with a smiling actor coming out of its mouth and you still expect the thing to close its jaws any minute. 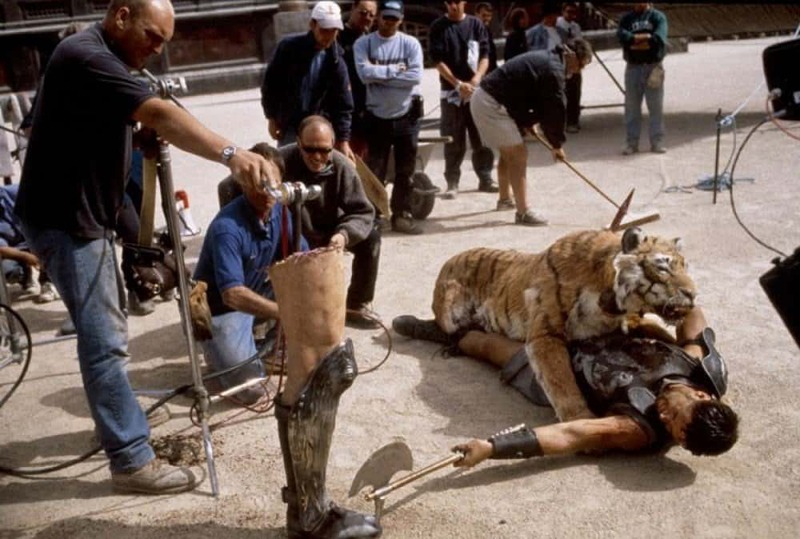 Yes, that’s a shot of Russell Crowe “fighting off” what is obviously a stuffed tiger while swinging an axe at a fake disembodied leg. I guess we have to give the filmmakers credit for using real props as much as they could. This particular photos shows just how much CGI goes into modern movie making. 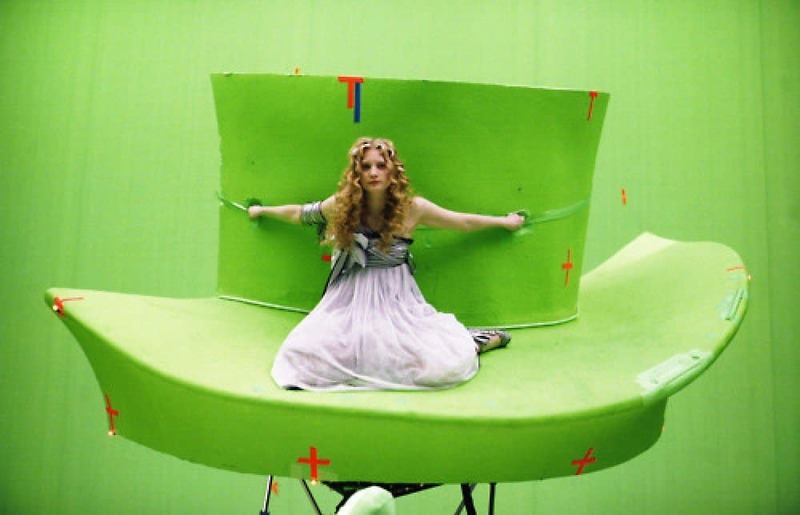 The scene being shot here is one in which Alice is being flung through the air, riding a giant version of the Mad Hatter’s headware.